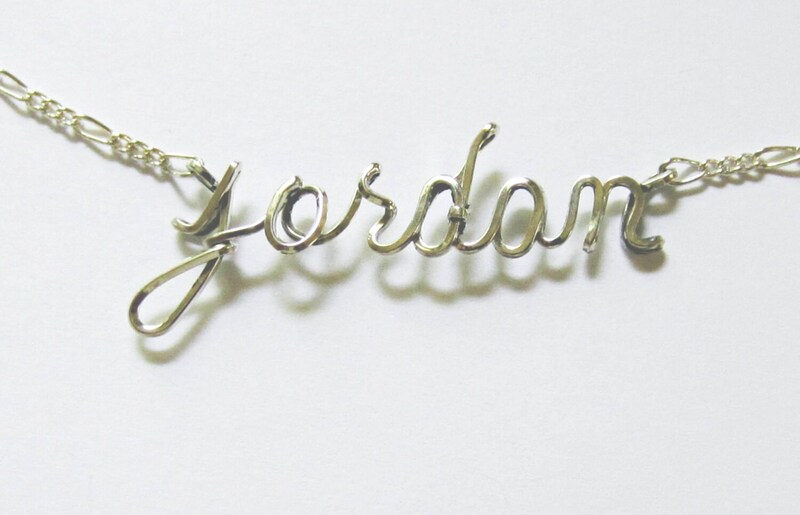 This unique one of a kind PERSONALIZED Necklace is available with ANY NAME OR WORD you choose. Your choice of a vertical drop necklace or horizontal necklace. 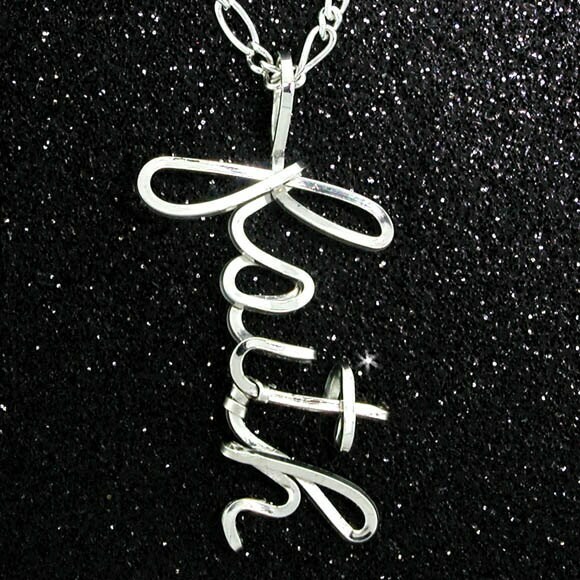 Each necklace is made in Sterling Silver and comes with a Sterling Silver Figaro chain in 16" or 18". Also Available in Rose or Gold for $68.95. Check out our Store for Listing. Check in my Etsy Store.